Haworth has been included in Dezeen’s Hot List, a selection of the most-read content over the last year on the publication’s website. Dezeen is a leading online magazine within the architecture and design community, featuring articles on design trends, people, projects, events and other industry-related news. Based entirely on audience data, the 400-strong list reveals the key players, the newsmakers and the emerging talents in the design world. 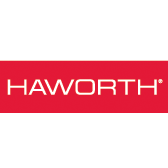 Haworth joins the likes of architect Zaha Hadid, Oki Sato of Nendo, Adidas and Apple, on the list. Over the last year, Dezeen has published articles on workplace-related research topics including co-working, happiness, emerging ergonomics and people-focused technology as a means of exploring how we can improve our work environments. These articles were derived from Haworth’s own white papers, published by their in-house global research team, and reflect their effort to continually invest in a science + design approach.